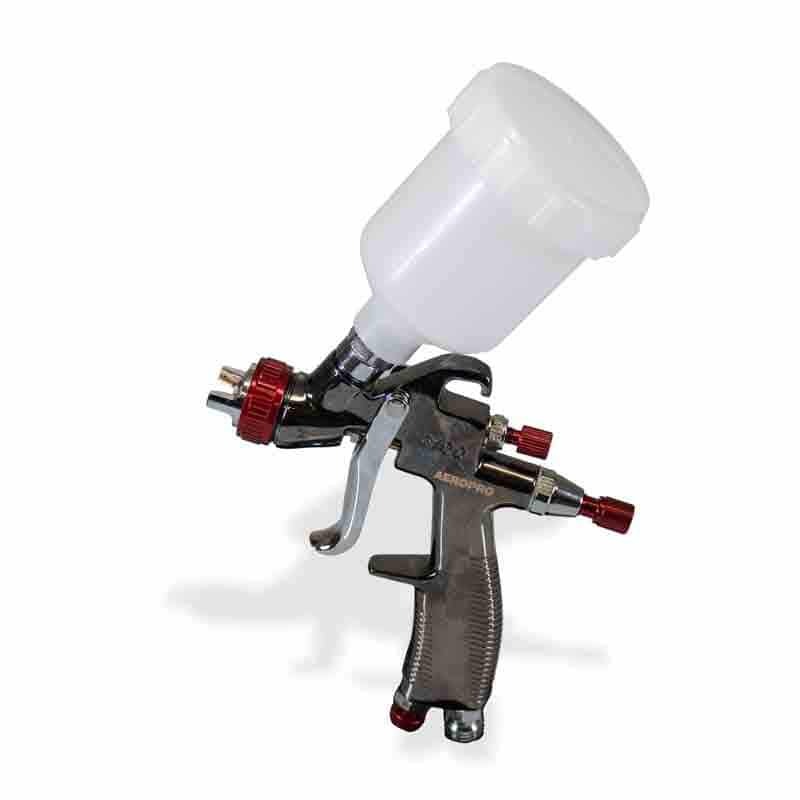 This spray gun is used for spraying autos, furniture, mechanical equipment, and the hotel and commercial building decorating. This gun is capable of handling most viscous material within a small spray range. The gravity feed cup rotates allowing for more flexibility in spraying horizontal, vertical or underneath spray application. Great for automotive clear coating and base coating. Available for different cup sizes: Plastic cup: 120cc and 250cc; aluminum cup: 150cc and 250cc; stainless steel cup: 150cc.